Before the elections, we wanted to ask politicians to talk about the real issues about migration. One of the real problems, unfortunately, is physical violence towards people at the Hungarian borders. According to the to the Chief Prosecutor's Office’s data: between 16 September 2015 and 1 January 2018 the Prosecutor's Office received 75 reports regarding violence committed by the authorities towards migrants. In these 75 cases, the competent prosecutor authorities decided to refuse the complaints in 15 cases, to stop the investigations in 51 cases and to suspend the investigations 1 case. 3 penal procedures are still ongoing, and in 3 cases a case transmission decision was made. In two penal cases the Szeged Regional Department of the Central Investigations Prosecutor’s Office had accusations regarding violence against migrants, in both cases a final damning court decision was made. We think this should be a clear barrier for everyone. Even if a party rejects the quota system, or approves of the border fence, violence on our borders is something that is not acceptable. Therefore, we decided to gather the different stances of political parties on it. What is your stance on the violence towards migrants at the Southern border of Hungary? In the Hungarian parliament, what actions would you take with regards to the violence? Despite our efforts, we only received a four answers. Many thanks to Együtt, Lehet Más a Politika-LMP, Magyar Liberális Párt and Modern Magyarország Mozgalom-MoMa for taking this seriously, and answering. We are very sad that the rest of the parties stayed silent. 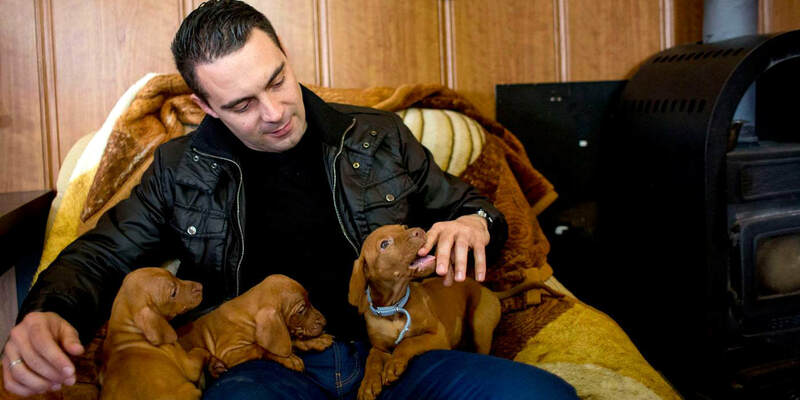 This is the second in the Migszol election-post series where we approach the government’s migration policy through a wholly new angle, that of dogs. The connection between dogs and propaganda might not be clear, in the first instance - therefore, we would like to share our astonishment with you. In two weeks we will see what a well prepared, properly maintained propaganda can bring to a political party. Some preliminary results, however, are already available. What was before a more or less, albeit poorly, functioning asylum system, has been turned into a carefully constructed, but unsustainable, system of detention and transit zones. Systematic pushbacks to Serbia, and more recently to Romania, continue. The fence area has developed into a militarized zone of pushbacks and detention. Following the format of our previous monthly updates, this brief post overlooks the main developments in Hungary in 2017 on the ground, while the next post coming up in a few days time looks at political developments. For legal developments and a monthly update on the asylum situation in Hungary, please see also the publications of the Hungarian Helsinki Committee. The government’s rhetoric on introducing systematic detention has been put into practice, on March 8th, when the law on detention for all asylum seekers was passed. This resulted in many people who were in the process and staying in open camps, to leave the country towards Western Europe. The date of the parliamentary vote was changed without further notice, which made protest very difficult. At the time, we published a detailed report on what asylum detention means. There are still open camps left in Hungary, for those who have (recognized) chronic medical conditions), who are in the last days of their pregnancy and who have been recognized as refugees. 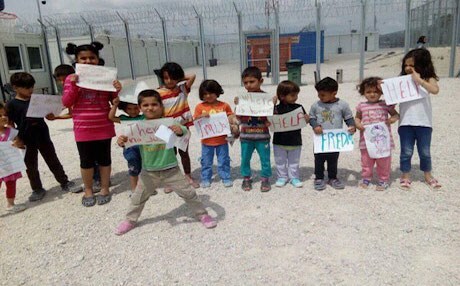 A group of children raising slogans criticizing their "miserable" conditions at Tompa camp in Hungary. The Hungarian version of this article was originally published on Kettős Mérce. There is still some time till the party’s promised official programme would be released in October, and while there is still heated internal debate on the matter, Migszol seizes the opportunity to formulate some suggestions and ask some questions to the party in the making. 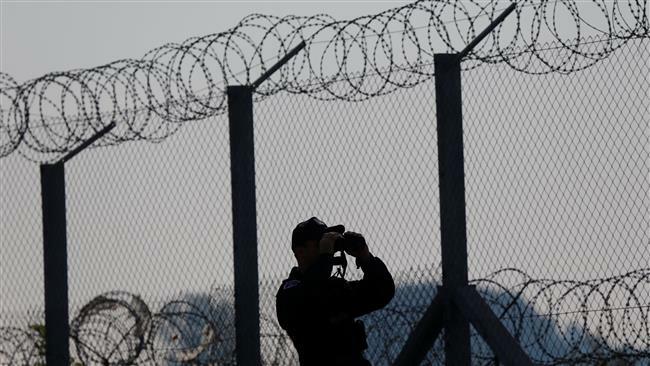 What’s really happening at the Serbo-Hungarian border for a year now? Since the summer of 2016 reports about police brutality and human rights abuses done against people trying to cross the Serbian-Hungarian borders have dramatically increased. Characterically blunt, the government even officially called a special police unit deployed since February 2017 at the border with Serbia ‘border hunters’. In parallel with the establishment of the border hunter unit new laws were introduced, which enable the Hungarian police to push-back people from the whole territory of the country and thus make the abuses less visible. Kids in jail and a price tag for detention - what does the new Hungarian asylum law mean in practice? The Hungarian government has passed an amendment in the national legislation on March 7th 2017. The content is a blatant attack on people who are seeking international protection. Several legal rights professionals have done a great job reacting to the content of the legislation, and explaining why it is in such striking contradiction with existing laws (the Hungarian Helsinki Committee, UNHCR, UNICEF, Amnesty International, Human Rights Watch), so Migszol will in turn try to open up these obscure legal changes to reveal what it does to people on a very practical level. In a nutshell, without a word of exaggeration: the law amendment changes an already ill-functioning national asylum system into a physically isolated, fenced off container camp area at the Southern border, and allows for the authorities to keep the rest of the country ‘clean’ of people seeking protection. The camp area will be a center for processing and managing its people regardless of who they are, where are they coming from, how old they are or what they need. The same in facts: the amendment legalizes detention for all asylum seekers, including children in families and unaccompanied minors over 14. The law will also allow for a ‘collection’ of asylum seekers from all around the country (more on that below). The timeframe for appealing a negative asylum decision is now shortened, from the already extremely short deadlines, to three calendar days, and asylum applications can now be rejected also based on “not cooperating” with the authorities, in which case the case will be closed and the person will be pushed to Serbia with no way to appeal the decision. In case of a negative decision, the asylum seeker should also pay for their own detention, such as accommodation and food, to the Hungarian state. The new amendment also makes it possible to apply for asylum only through the transit zones which is extremely problematic considering the fact that only five people per working day are allowed to access a transit zone from Serbia and waiting times are around one year at the moment.